For a movie about a kingdom locked in winter, Frozen is as heart-warming as the summer sun. Inspired by Hans Christian Anderson’s “The Snow Queen”, Disney brings to life a beautiful tale of sisterly love, a story structured in a way that differs from archetypal Disney Princess movies. Anna and Elsa are sisters, and best friends—at least, in their childhood years. With her power to sculpt winter wonderlands of snow and ice, Elsa accidently strikes Anna. Elsa isolates herself from Anna by retreating into her shell of fear, wrestling with her uncontrollable wintry power. Come coronation day, her emotions are released, and Elsa triggers an eternal winter over the kingdom of Arendelle. Branded as a “monster,” Elsa flees into the mountains to protect those she loves the most. Plucky high-spirited Anna, along with mountain man Kristoff and his lovable reindeer Sven, sets out to find her sister and bring summer back to the kingdom. It’s a wonderful, gorgeously rendered musical. Taking place in the enchanted Scandinavian fjords complete with breath-taking dramatic cliffs and the resplendent Aurora lights, the kingdom is unique in its design unlike any other Disney realm. My hat goes off to the artists who crafted this tour de force. Elsa’s icy powers enchant in the thousands of ways that snow and ice reflect light, depending on her mercurial personality. Her ice castle is splendidly magnificent—it’s tall, proud, regal, and poised, much like the way Elsa tries to carry herself on the outside. The songs, penned by Kristen Anderson-Lopez and Robert Lopez, tell the story in a fantastic way, appealing to raw emotion and heart. Disney’s casting of Kristen Bell (Anna) and Idina Menzel (Elsa) is unsurpassable. Combine these two powerhouse voices together with poignant, emotional melodies and you get a duet that will send shivers down your spine. 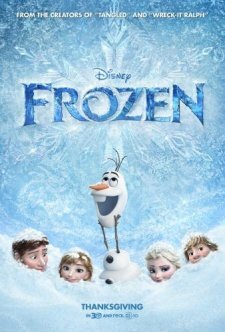 The songs also add a touch of comedy with witty lyrics, such as the musical number by show-stealer Olaf (Josh Gad), a talking snowman with interchangeable parts created by Elsa. He has a hilariously unhealthy obsession with the hot summer, a season with dangers that Olaf is quite merrily unaware of. Frozen breaks out of the standard princess movie cutouts by the Anna-Elsa sister dynamic and also, by not revealing the antagonist until late in the movie. Their sisterhood is complicated, but Disney doesn’t shy away from exploring this relationship. Anna represents love and Elsa represents fear. This is an allusion to the film’s title in that Anna must thaw Elsa’s frozen heart. Produced by the Tangled crew, there are a few similarities between Rapunzel and Anna, not just in the way they look, but that Anna has also been behind closed doors for most of her life. I love the fact that Anna is not just a very fearless protagonist, but also she is strong-willed, stubborn, extremely awkward, easily excitable, and very relatable. Frozen also throws in a couple unconventional ideas about true love, deviating from The Little Mermaid‘s love-at-first-sight syndrome. Disney is starting to break out of its traditional mold, giving audiences a refreshing ride through uncharted lands. It’s a triumph in its own rights, 5 stars out of 5, a jewel in the crown of the Disney vault. Aesthetically stunning, Frozen is an enchanting tale that will tug on your heartstrings and leave you with a feeling of breathless wonder. It is accompanied by the short “Get A Horse,” which literally bursts out of film boundaries, showcasing creative impeccable animation of the Mickey Mouse crew. 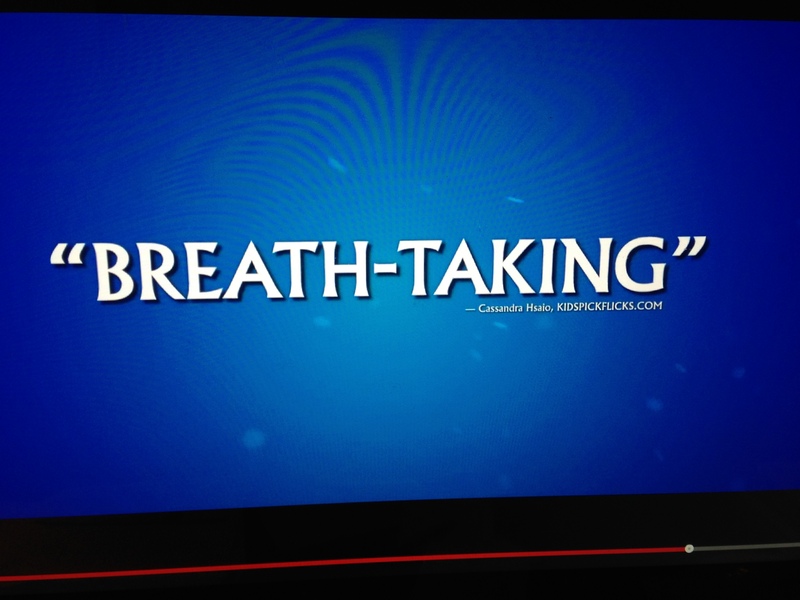 Be sure to catch Frozen in theaters, November 27! All Ages.